High performance: innovative advanced electrode and nozzle design. 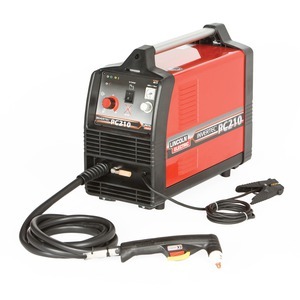 The Plasma PC-210 is the most flexible plasma cutting machine you could envisage. The unit arrives ready to go, able to cut fast and precisely. 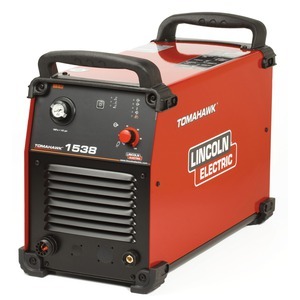 Powered from a standard 230V input supply, the machine is ideal for work on site. With the PC-210 cutting need no longer be a problem, forget the grinder, simply take the torch and cut in seconds. 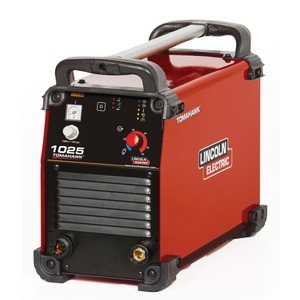 This inverter based machine is equipped with an integrated air compressor. This provides maximum flexibility without the need for a separate compressed air supply. And, with a weight of only 18.5 kg combined with its small size, this versatile machine can be used anywhere, anytime. Flexible – only 230V input required. Robust – long life compressor. Concentrated plasma stream less heat input, less distortion.